As it says in the Yoga Sutras, the ripest fruit has the most beautiful taste! If we spend a lot of time on social media, we could be forgiven for thinking that our culture is made up entirely of people who never age past 30, always look great in yoga pants and eat nothing but smoothie bowls for breakfast. Obviously I’m exaggerating, but we have become rather used to seeing people’s lives edited to perfection, as well as the prizing of youth and beauty over age and knowledge. Even the words of wisdom reposted endlessly on my Facebook feed from sages such as Rumi are just that: words on a pretty background and not usually accompanied by an appropriately older face. I was running a yoga and confidence coaching workshop recently and two yogis aged between 45 and 55 talked about how one of the biggest confidence challenges for women is getting older in our image-obsessed society and starting to feel tired and somewhat invisible. We shared how we had all started to notice physical changes such those grey hairs creeping in, finding it harder to lose weight and our skin texture changing, but came back much more positively to how important it is to maintain self-care and self-love as we age, so that we can keep projecting radiant energy into the world – no need to become ‘invisible’! 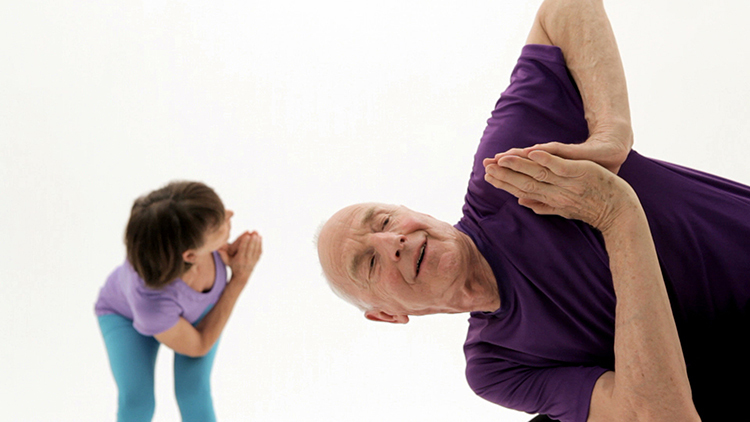 Because yoga is all about the journey and what we learn from it, rather than how we look externally when we practise asana, using yoga can help both women and men maintain a positive approach to ageing and enable us to recognise and value all the gains that come from having travelled longer on our chosen paths. Cosmetics companies make a massive profit from playing on our fear not just of ageing but looking ‘old’. It has been a pleasure lately to see more mature women with attitude such as Helen Mirren and Charlotte Rampling appearing in skin care campaigns at last, and it would be great if this trend keeps going. Ageing is a given and making the most of the skin you’re in, rather than fighting the inevitable, is the way to go. Just as we don’t struggle our way into a pose and risk injury, kicking against getting older is only going to hurt ourselves. Take the time to recognise how far you have come rather than dwelling on what time you have left, and look to the past with a positive attitude. We have been through marriage and divorce, careers of different kinds and other significant life experiences and, while some people may think of relationships ending as failure, we can encourage ourselves to see where we need to break negative cycles. In yoga philosophy we talk of samskaras, which are emotional and behavioural patterns we tend to reinforce over time and find hard to let go. Reflecting on our past and identifying what we have learned about ourselves can help move away from these cycles and avoid making the same mistakes over and over again, freeing us up to be happier in new relationships, or to change our stale career for one we really want. Self-study and development of this kind is also svadhyaya, one of the Niyamas or observances, and is essential for personal growth, not just advancing our yoga practice on the mat. Observing svadyaya also encourages us to keep moving forward, to keep learning and to keep investing in ourselves as we age. I’ve made a massive career change in my early forties, and am assuming I am only halfway through my life with so much potential still to realise; a mindset that says ‘I’m too old’ is imposing on yourself what we refer to in coaching as a ‘limiting belief’ – a self-imposed barrier that needs to be overcome for change and growth to take place. We must not stop making plans or seeking experience. For many people, retirement is a whole new phase of life in which to travel, explore and learn. For others, it can be a loss of identity, of purpose and a slow decline. You have the power to choose your attitude to ageing. Celebrate your achievements, rejoice in your well-earned confidence and go forth into your happy and healthy future! This post was written by Tracy Johnson, the founder of Brainbox Coaching and Empower Yoga Bristol. She trained under Sally Parkes and is a 200 hour RYT with Yoga Alliance. 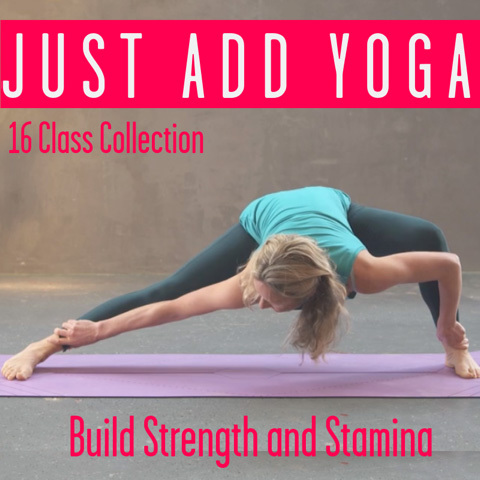 Tracy blends her yoga teaching with confidence coaching and stress management to create a holistic practice, and runs her classes with warmth and humour. She is the author of a careers guide, Working in Science, co-author of The Coaching Gurus, and writes for publications such as OM Yoga Magazine, Globe of Love, Happiness+Wellbeing, MindBodyGreen and has been featured in the Guardian, Body Fit magazine, the Bristol Post and Cardiff Life. 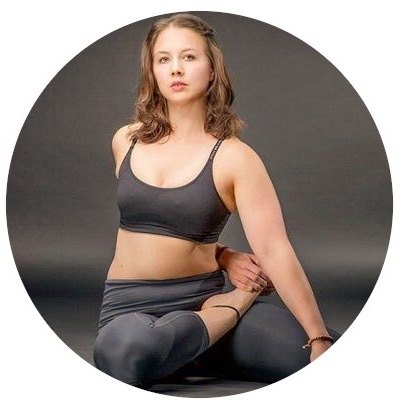 She is also a career and confidence coach, self-defence instructor and an Integrative Nutrition Health Coach, and is currently writing a book combining yoga with her coaching techniques for stress management. Follow Tracy on Twitter. 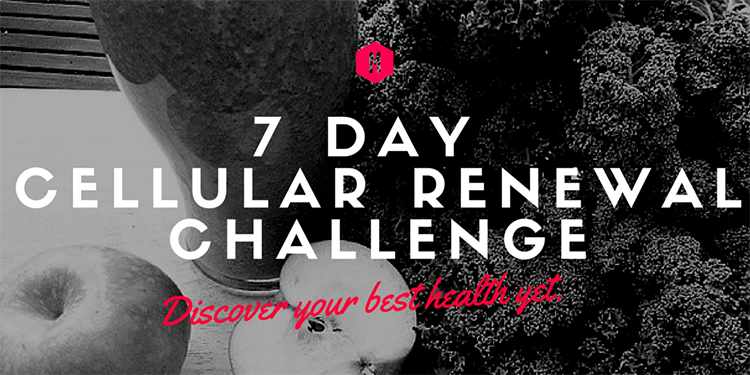 Try our 7 Day Cellular Renewal Challenge and discover your best health yet! This entry was posted in Inspiration // Empowerment and tagged ageing, confidence, happiness, positive, yoga on August 27, 2015 by Tracy Johnson.